I love seeing the first pops of bright color appear after the new year, signaling the impending freshness and energy of spring. From pastels over here and here, to this exciting, rich hue of cobalt blue. This bold shade looks best with super-basic neutrals like crisp white, jet black and maybe a shade of camel worked in. Even stripes in these shades can do the trick. If you’re not ready for a full blue top or even trendy blue jeans, try some fun blue heels or a bold belt for a pop of color. This little shot of blue will wake up your outfit and give you just the boost an early spring look needs. You might even skip that second cup of coffee. Go ahead. 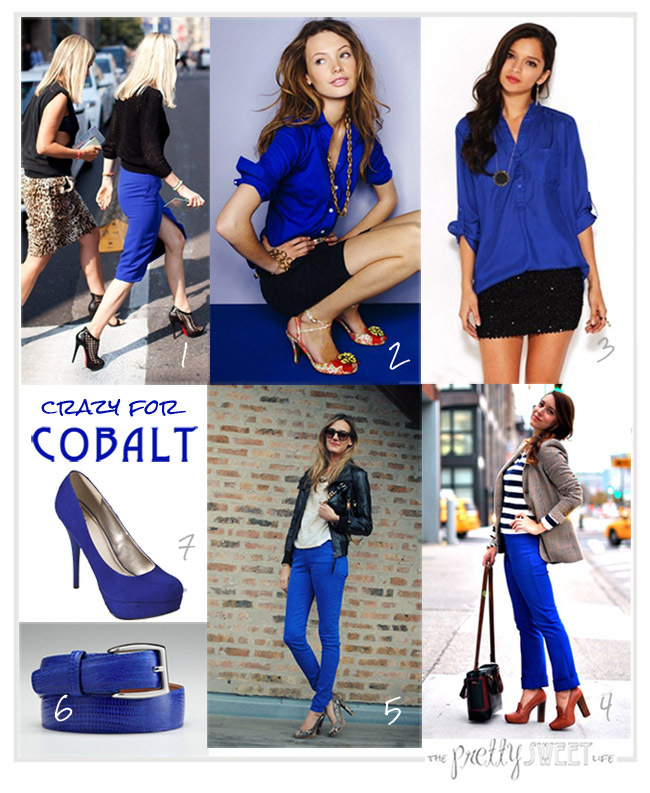 Go crazy for cobalt.